This is part of the blog series, Unlikely Heroes for Liberty, which highlights pro-liberty actions or ideas of figures who are otherwise anti-libertarian. Libertarians often discuss theories and accomplishments by major figures who themselves identify as libertarian, such as Ludwig von Mises, Murray Rothbard, Ayn Rand, Ron Paul, and others. Yet there are many ideas and achievements that have been conceived and realized by non-libertarians that nonetheless deserve praise from libertarians. An earlier article I wrote about George Carlin noted that he once described libertarianism as “pretentious,” yet his monologues reached an audience of millions and enabled them to rethink their views on many issues, often times in a pro-liberty direction. I noted that he was an “unlikely hero for liberty” as he brilliantly intertwined political commentary and comedy at a time when it had almost never been done before. Former Soviet leader Mikhail Gorbachev is another non-libertarian figure who epitomizes this phrase, as well. Gorbachev was the leader of the Soviet Union during the 1980s, in a tenure that closely coincided with that of Ronald Reagan. While Reagan is regarded by many on the Right as a proponent of freedom, Gorbachev is much lesser-known in most Western countries. Considering the violent formation of the Soviet Union during the Bolshevik Revolution in 1917 and the oppressive rule of Josef Stalin, it seems unlikely that a man who had been a member of the Communist Party since 1950 could make significant strides towards liberty. Yet, that is exactly what Gorbachev did in his tenure as leader of the Soviet Union. A member of the Communist Party since the Stalin era and proponent of state socialism, Gorbachev was also a man who unwittingly realized that reforms were needed in a pro-liberty direction for the economic stability of Russia and Eastern Europe, so he worked to ensure increased freedom and opportunity for hundreds of millions of people throughout the East. 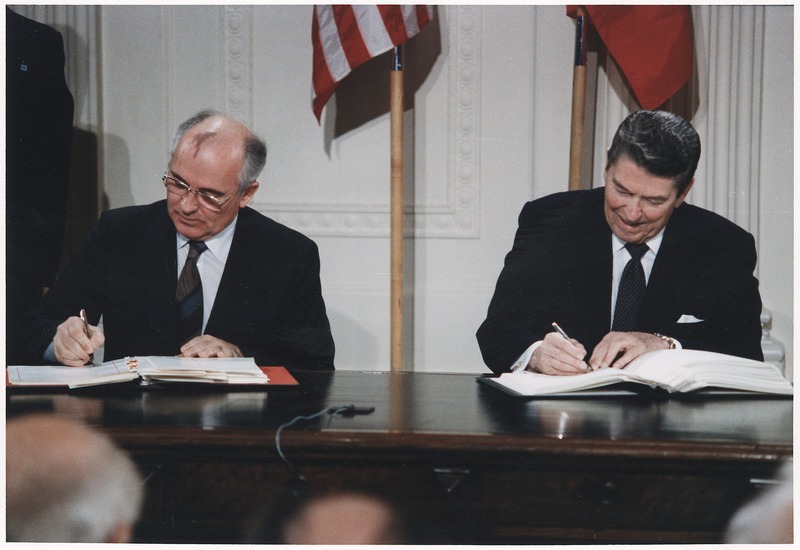 Gorbachev’s actions and remarks were not libertarian in many instances, but his signature accomplishment of almost single-handedly ending one of the world’s most oppressive regimes is something that deserves high praise from all who believe in liberty. Many of you see the solution to your problems in resorting to market mechanisms in place of direct planning. Some of you look at the market as a lifesaver for your economies. But, comrades, you should not think about lifesavers but about the ship, and the ship is socialism. However, just two years later, in 1987, he passed the Law on Cooperatives which allowed private enterprise while designating a fair share of capital to workers through worker ownership of the company. This fit into his Perestroika (Russian for restructuring) policy which was an effort to boost the Soviet economy. In addition to economic reform, he promoted democratization, allowing for multi-party elections and the election of non-Communist Party members to high offices; and increased freedom of speech. 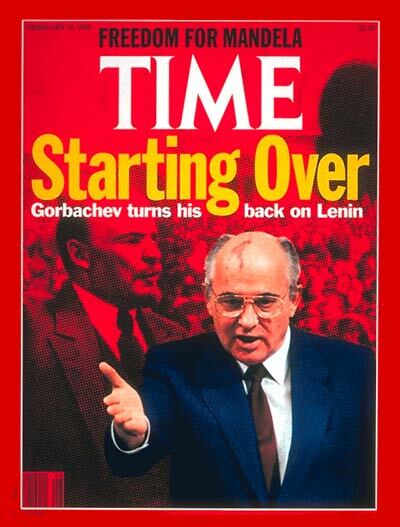 Gorbachev’s accomplishments weren’t limited to his tenure as the leader of the Soviet Union, however. He also opposed U.S. military intervention in Yugoslavia in 1999 and Iraq in 2003. In his native Russia, he has criticized current Russian President Vladimir Putin, saying that, “all power is in the hands of the executive branch, the president.” His criticism of concentrated power and foreign intervention is remarkable for a leader who continued a war in Afghanistan for several years and at times increased his own power. Yet it is commendable as an example of an informed stance from someone who has led a world power himself.